When you think of obedience do you think 'stern face, boring, no fun for handler or dog'? Well think again... Rally is completely different. Rally obedience is ever changing, tons of fun for your dog... We encourage you and your dog to be happy... Happily wagging tails are essential. Talk to your dog, encourage him, praise him. Can you 'sit, down' with your dog? Can you then heel to another sign that tells you to walk in a circle to your right? If so, you and your dog can participate. If you can't, we'll teach you how... With play and enthusiasm. 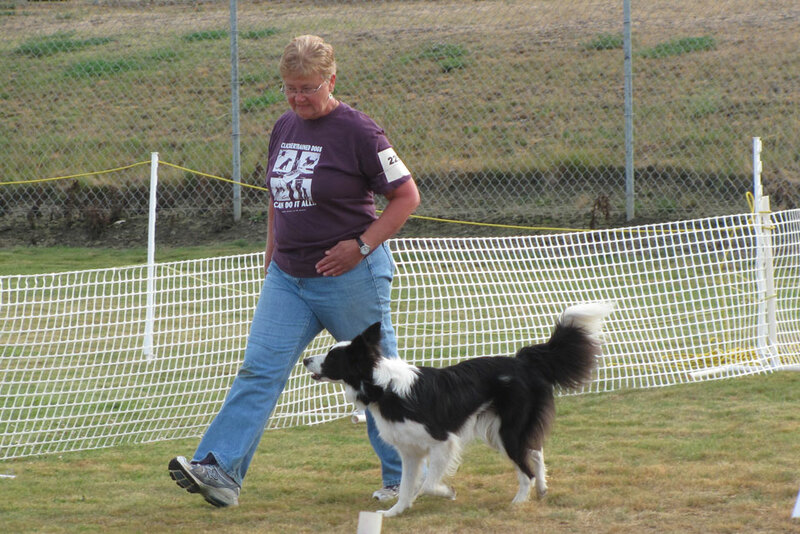 We offer Rally Obedience for fun and also competitive Rally Obedience. Come find out what all the fun is about... Ask us for more info about Rally Obedience.